Did you know that you can pay for groceries with the Touch ‘n Go (TnG) card? Gone are the days when we used it to pay for the toll only. The card now offers more features and benefits to its card users. Read on so you can get the most out of your TnG card. On 25th July 2017, it was announced that TnG has entered a joint-venture with Alibaba’s Ant Financial Services Group (which provides the Alipay platform) to build an e-wallet. The new e-wallet will provide current and new TnG card users access to more services. However, it is in evaluation by Bank Negara and is expected to be officially launched next year. What is Touch ‘n Go? It is a prepaid smartcard that uses contactless technology, hence the name for the card. The information contained in this card can be read and written via magnetic induction using specific radio frequency and smartcard software. TnG cards are used as a mode of payment for highways, public transport, selected parking locations, retail and also theme parks. Touch ‘n Go Sdn Bhd was incorporated in October 1996 and launched its Touch ‘n Go services in March 1997 at the Metramac Highway and PLUS Expressways. Touch ‘n Go is the only Electronic Toll Collection (ETC) operator for all highways in Peninsular Malaysia. It is also accepted as the Common Ticketing System (CTS) for major public transport in Klang Valley. Touch ‘n Go Sdn Bhd is a private limited company, and among its shareholders are CIMB Group Holdings Berhad, MTD Capital Berhad and PLUS Expressways Berhad. Today, there are more than 17 million active TnG cards with more than 6 million average transactions per day. Touch ‘n Go Card: This is the basic card, and costs RM10.60 including GST. You will need to top-up to reload your card with value. Touch ‘n Go Zing: This card has an auto-reload function. It is linked with the user’s credit or debit card account which will debited with the auto reload value. It is available for all VISA, MasterCard, AMEX and debit card holders of participating banks. Tesco Clubcard: Card holders can enjoy Tesco Clubcard and TnG features. It can also be used as a prepaid smartcard at selected Tesco stores and other Touch ‘n Go participating outlets. Watsons VIP Card: A 2-in-1 card that provides reward points for Watson VIP members in addition to the benefits you are entitled to with Touch ‘n Go. Touch ‘n Go Photocard: Personalize this cardface design with your own chosen photo or graphic. The card is priced at RM21.20, and is sold at Touch ‘n Go Customer Experience Centre Bangsar South, NU Sentral Hub and Wisma Nufri Johor Bahru Hub. Where Can You Use Touch n’ Go? Enter the Touch ‘n Go lanes on highways and tap on the payment portal to pay your toll fee. Toll use is the most utilized feature of TnG cardholders for tolls payment. Use it to pay for the LRT, MRT, Monorail, KTM and busses. Just tap onto the gates with your TnG card and the ticket fee will automatically be deducted from your card balance. More parking spaces in malls, hospitals, and sometimes even hotels, accept payment via TnG cards. Remember that you need a minimum balance to ensure you have enough to cover the parking fees when exiting. Many prefer using their TnG cards to avoid queing at the autopay machines but do take note that additional fees are imposed when you pay with TnG. For a full list of retail stores that accepts TnG payment, click here. Alternatively, you can use the TnG Interactive map here to see where TnG cards are accepted and where you can reload your card. After you buy a TnG card, you should register it online at the MYTouchnGo portal. In case of a discrepancy or if your card is stolen, your TnG card can be easier verified for refunds. . You can also block or cancel your card by contacting 03-2714 8888 Touch ‘n Go Careline Center, 7:00am to 10:00pm daily, including public holidays. You can also monitor all of your TnG transactions, view rebates, and transfer ownership of your card via the portal. Where can you get a Touch ‘n Go Card? 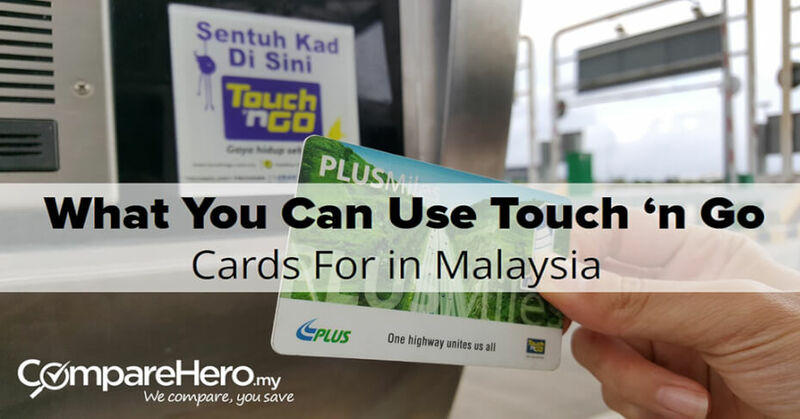 TnG cards can be purchased at Touch ‘n Go Hubs, Touch ‘n Go SPOTs at selected petrol stations, and at Touch ‘n Go Sales Counters located at highways. You can also get a Touch ‘n Go card from selected PETRONAS petrol stations, LRT Stations and third party agents. Click here to find a location near you. As for the Watsons VIP card, you can purchase it at any Watson’s store or and the Tesco clubcard is also available at Tesco outlets nationwide. How do I reload my Touch ‘n Go Card? Always make sure you go through authorized partners only. You risk having your TnG card blacklisted if an illegal reload through unauthorised parties has been detected. The card and its remaining balance will be forfeited and then forwarded to the authorities for investigation. For a list of authorized TnG reload points, click here. You can reload your TnG card with RM10, RM20, RM35, RM50, RM100, RM200 and RM500. The maximum reload value is capped at RM1,500 for safety purposes. Your TnG card will remain active as long as you reload or use at least once a year. A card is deemed inactive when it has no record of transactions in a 12 month period. 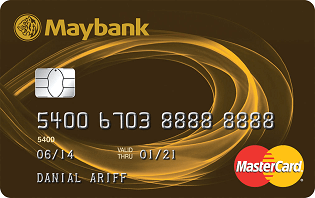 Once a card is deactivated, a dormant fee of RM5.30 will be charged immediately and deducted from the deposit or the unutilised card balance. If a deactivated card continues to remain inactive, RM5.30 will be further deducted from the deposit or unutilised card balance once every 6 months. If you will no longer be using the card, you can return it to TnG counters and get your unutilised card balance refunded, but this is subject to the terms & conditions. Stay tuned as we will update this article once more information on the upcoming Touch ‘n Go e-wallet is available.